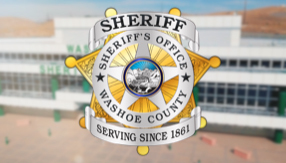 The Washoe County Sheriff's Office values the trust placed in it by the citizens we serve and realizes that to maintain the public confidence, all citizen and internal complaints must be thoroughly and impartially investigated. To that end, the Office of Professional Integrity is responsible for investigation of complaints filed against civilian and commissioned personnel. Office of Professional Integrity investigators conduct interviews, collect evidence, and review reports to guarantee fair and equitable investigations are completed in a timely manner. The Washoe County Sheriff's Office and the Office of Professional Integrity take pride in providing the highest quality service while being responsive to the concerns and needs of the community. To report favorable conduct, click here. To report unfavorable conduct, click here.